Learning a first language is an amazing accomplishment. It is a learning task perhaps like no other. At the onset of the language-learning odyssey, a child has much to determine about the language that she or he hears. At the end of the journey, every child who is not cognitively impaired has an intact linguistic system that allows him or her to interact with others and to express his or her needs. Stark, (1986) in Harley (2001: 98) said Children are not born silent, of course: they make what are known as vegetative sounds from the beginning. They cry, and burp, and make sucking noises. Around 6 weeks of age they start cooing, and from about 16 weeks old they start to laugh. Between 16 weeks and 6 months they engage in vocal play. This involves making speech-like sounds. Vowels emerge before consonants. From about the age of 6–9 months, infants start babbling. These all about the first language acquisition of human for communication. Furthermore, Foster-Cohen, 1999 in (Gas & Selinker, 2008: 31) said that Language is a form of communication, but children communicate long before they have language—at least in the way we normally think of language. Anyone who has lived in a household with an infant is aware of the various means that infants have at their disposal to communicate their needs. The most efficient of these is crying, but there are other more pleasant means as well. Some of these include smiling and cooing. Coos are not precisely like the regular speech sounds of language, but they do suggest that infants are aware of sounds and their potential significance. 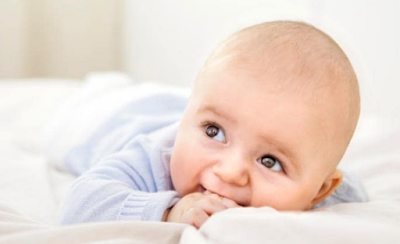 For example, from approximately four to seven months, infants use these cooing sounds to play with such language-related phenomena as loudness and pitch. By the end of this chapter we should know about different types of the first language acquisition. At approximately six months of age, infants turn to more language-like sounds in what is called babbling. Babbling most commonly consists of consonant–vowel sequences (e.g., bababa, dadada, and later bada) Gas & Selinker, (2008: 31). It is frequently the case that some of these early babbling sounds are taken to be “words” by parents or caregivers. For example, mamama is frequently and perhaps wishfully interpreted as referring to the child’s mother, when in fact the sounds may be nothing more than sounds with no meaning attached. The line between babbling and true words is often a fine one. Babbling is distinguished from vocal play by the presence of true syllables (consonants plus vowels), often repeated. Around this time the infant might start noticing that particular strings of sounds co-occur with particular situations (Jusczyk, 1982; MacKain, 1982). One device that children use fairly early to express meaning is intonation. Even before they have grammatical knowledge, they can use the appropriate stress and intonation contours of their language to distinguish among such things as statements, questions, and commands. A child can, for example, say dada with the stress on the second syllable. One can imagine the child doing so with her arms outstretched with the intention of a command, something like Pick me up, daddy! Or, one can imagine a child hearing what appears to be a door opening and saying dada with rising intonation. This might have the force of a question such as Is that daddy? How does babbling turn into word usage? Does this happen abruptly, or is the change a gradual one? Figures 2.3–2.5 show the relationship between babbling and actual word usage for three children between the ages of 11 months and 16 months. There are a number of interesting points to be made about these data. First, for all three children, during the five-month period there is a decrease in babbling and an increase in words, although the increase and decrease are not always linear. Second, there appears to be a point where each child “gets” the concept of words as referring to something. Once this occurs (month 14 for Child 1 and Child 2; month 15 for Child 3), there seems to be a drop-off in the amount of babbling that occurs. What function do words have for children? Words in early child language fulfill a number of functions. They can refer to objects, such as ba for bottle; they can indicate a wide range of grammatical functions, such as commands (I want my bottle); they can serve social functions, such as bye and hi. Children have to learn that words can serve each of these functions. Another point to bear in mind is that words in an adult’s language do not always correspond to words in a child’s language. “Words” for children might reflect more than one word in the adult language. For example, allgone is typically produced at the one-word stage in child language, even though it comprises two words in the adult language. There are other aspects of adult and child vocabulary that are not in a 1:1 correspondence. Children often overextend the meanings of words they know. For example, Hoek, Ingram, and Gibson (1986) noted one child’s (19–20 months) use of the word bunny to refer to doll, hen, shoe, car, picture of people, giraffe, cow, bear, chair, lamp, puzzle, train, and so forth. At the same age, the child used bear to refer to a stuffed toy lion and a picture of a pig. At the same time, a physical object placed on a head (e.g., a book) might playfully be referred to as a hat, suggesting that the child can distinguish between objects and their functional uses. In addition to overextension, children often underuse words. For example, one could imagine a child associating the word tree (in the dead of winter) with a leafless tree, but not using the word tree to refer to a tree with green leaves. In other words, children often use words with more restricted meanings than the word has in adult usage. This is known as underextension. In these early stages, it is clear that the pronunciation of children’s words is not exactly identical to that of adult speech. Among the earliest tasks that children face is figuring out the nature of the sounds they are hearing. Some sounds are distinguished quite early (e.g., the difference between the consonants in [ta] and [da]); others are of course learned later (wabbit for rabbit). Even when children start using words that more or less resemble adult words, at least in meaning, there are pronunciation differences. Common examples are substitutions, as in the rabbit example just given; deletion of syllables, as in dedo for potato (cf. Ingram, 1986); deletion of sounds, such as tein for train (cf. Ingram, 1986); and simplification, such as fis for fish. It is not always clear how to explain these phenomena. Are they a matter of motor control or of perception? The answer is: it depends. Foster-Cohen (1999) provided an interesting example from Smith (1973), whose child couldn’t say the word puddle. He pronounced it as puggle. One could argue that this is a matter of pronunciation abilities, but a further look at this child’s pronunciation showed that he used puddle for puzzle. Hence, this child was making a regular substitution (g for d and d for z) but was perfectly capable of making the appropriate sounds, just not in the appropriate place. We also know that children often get angry when adults “imitate” them using their own (children’s) pronunciation. For example, when an adult says, “Oh, you want ice cweam [ice cream],” a child is likely to get angry and reply, “No, I want ice cweam, not ice cweam.” This shows that children clearly can perceive a difference, although they do not make the difference in their own speech. Earlier we talked about babbling and the move from babbling to words. This initial stage is often referred to as the one-word stage because there is no word combination as of yet. The fact that children at this stage may use words like allgone does not contradict this, for this word is likely to be only one word in the child’s lexicon. After several months in the one-word stage, children start to combine words (usually at around two years of age). They might say something like Mommy cry. What is typical of this phase is that the words that are used are content words (i.e., nouns and verbs). Function words, such as articles, prepositions, and grammatical endings, are notably lacking. As children move beyond the two word stage, speech becomes telegraphic. The utterances used are much like the ones commonly used when sending a telegram—only the bare minimum so as not to have to “pay” for any more than is necessary. For example, children’s utterances might include Aaron go home, Seth play toy, Ethan no go. As children’s utterances become longer, it is appropriate for researchers to have a measure to determine complexity. Mean length of utterance (MLU) is the standard measure used; it averages number of morphemes over 100 utterances and is a more realistic measure of development than is chronological age. One view is that the primary basis of syntax is innate. Children know that nouns refer to objects and verbs refer to actions. Children start off with their innate knowledge of syntactic categories and a set of innate linking rules that relate them to the semantic categories of thematic roles. Thematic roles are a way of labelling who did what in a sentence. Much of the impetus for initial work in second language acquisition stemmed from work by Brown (1973) and his astute observation that there was a predictable order of acquisition of certain inflectional morphemes in English. The three children he studied, Adam, Sarah, and Eve, learned English morphemes in roughly the same order despite the fact that this did not always occur at precisely the same age. Brown’s research revealed that the emergence of grammatical morphemes was consistent across these children and that this emergence could be related to their overall development, measured in MLUs. Table 2.3 shows the order of acquisition for these three children. What is interesting is that the order does not reflect the frequency of these morphemes in the speech of the children’s parents. One final point to make is that there are often prerequisites for learning certain forms and that there are often interrelationships among forms. An example can be seen in the acquisition of negatives and questions and the necessary prerequisite of knowledge of auxiliaries (e.g., forms of the verb to be, and forms of the verb to do). A very early stage involves only rising intonation, but once children are able to put words together, utterances with a wh- word (e.g., where, what, who) appear at the beginning of an utterance, such as Where Ann pencil?, Who that?, What book name? (examples from Foster-Cohen, 1999). As children become more sophisticated, other components begin to appear, such as modals, but there are examples without inversion, such as What he can ride in? (example from Klima and Bellugi, 1966). At a later stage, children begin to use auxiliaries and also correct order. As Foster-Cohen (1999) points out, as these question forms are developing for wh- questions, there is a similar development for yes/no questions. Akmajian, Demers, Farmer, and Harnish (1995), referring to work by Foss and Hakes (1978) and Clark and Clark (1977), also note that negatives show a similar pattern with single words such as no appearing first, followed by a negative word at the beginning of an utterance, such as no eat, followed by negative modals or negative words in sentence internal position, such as, He not big, I can’t do that. As with questions, this is followed by a wider range of auxiliaries. Thus, the emergence of a number of different forms and structures is noted. There are certain conclusions that we can draw about children learning their first language. Throughout this book, we will return to these, as most are applicable in a second language context as well. Children go through the same developmental stages, although not necessarily at the same rate. Children create systematicity in their language and develop rules to govern their language knowledge and language use. The rules that are developed do not necessarily correspond to the rules of the adult language. There is overgeneralization of grammatical morphemes. There are processing constraints that govern acquisition and use. Correction does not always work. Language acquisition is not determined by intelligence. Concluding this chapter with a brief discussion of child language acquisition. We do so because this field has been important in the development of SLA, particularly in the 1960s and 1970s, as SLA was beginning to establish itself as a viable research discipline. We know that young children move from babbling to one-word or holophrastic speech, through abbreviated or telegraphic speech, before they master the full syntactic complexity of their language. There is no evidence that children learn language by imitation or reinforcement; indeed, correcting children’s errors makes surprisingly little difference to their speech patterns. Harley, Trevor A. (2001). The Psychology of Language From Data to Theory. USA and Canada: Psychology Press Ltd.
Gass, Susan M & Larry Selinker. (2008). Second language Acquisition: An introductory course Third edition. New York and London: Roudledge. 0 Response to "First Language Acquisition"